Jacinda Ardern will be the next New Zealand Prime Minister, after Winston Peters, the leader of the minority NZ First agreed Thursday to support Ardern's Labour party in a coalition government. Peters' decision ends almost a month of uncertainty, and weeks of negotiations, conducted by Peters with both Ardern and the incumbent Prime Minister Bill English's National party after the general election on September 23 ended in a hung parliament. Ardern will become New Zealand's third female prime minister, and the second-youngest. The Labour-NZ First coalition will control 55 of the 120 seats in the country's parliament, meaning it will be dependent on the Green Party and its eight lawmakers to overcome the 61-seat threshold to pass policies. 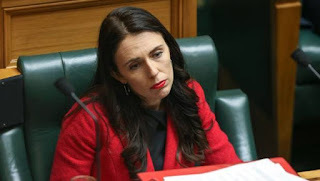 Ardern joined the Labour party at 17, worked in Tony Blair’s cabinet office and was a staffer for former New Zealand prime minister Helen Clarke. She campaigned for decriminalising abortion, cutting immigration and lifting children out of poverty.